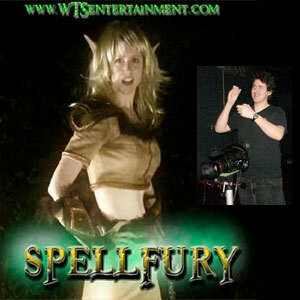 This week I chat with writer and filmmaker Travis Gordon … the man behind the webseries Spellfury. In addition to talking about story of Spellfury, we chat about product placements, female lead characters, building a team, the immediacy of webseries, the two ways to deliver your webisodes, puppets vs. cgi, working with green screen, and more. The TV series created by Joss Whedon, which was inspired by the 1992 movie starring Kristy Swanson, ran on the WB network from March 1997 to May 2003. Buffy Summers, played by Sarah Michelle Gellar, is a high school student who has been chosen by fate to be a Vampire Slayer, to fight the forces of darkness. She is aided by a Watcher, who guides, teaches and trains her. Unlike previous slayers, Buffy also has a group of loyal friends. This spinoff from Hercules: The Legendary Journeys starred Lucy Lawless as a warrior on a quest for redemption from her past wrongdoings as a warlord. She is assisted by her sidekick Gabrielle who, throughout the series, transforms from a simple farm girl into an Amazon warrior in her own right. The series ran in syndication from September 1995 to June 2001. Sweetums is an oversized Muppet, a large, hairy ogre with a bulldog-like lower jaw and thick, bushy eyebrows. He looks threatening, but his personality is friendly. This character first appeared in 1971 in the TV special The Frog Prince. He returned to the screen in 1975, singing a duet with Cher on her self-titled show. In 1976, he joined the cast of The Muppet Show. Although not a regular on the show, he did make many memorable appearances, and had had many cameos in the muppet movies. Producers Sid and Marty Kroft created a number of television shows for kids in the 1970s that aired on Saturdays. One of them was The Lost Saucer starring Jim Nabors and Ruth Buzzi. Others included Land of the Lost, Far Out Space Nuts (with Bob Denver of Gilligan’s Island), Sigmund and the Sea Monsters, The Bugaloos and H.R. Pufnstuf. This American animated television series was based on the role-playing game and aired on CBS from September 1983 to December 1985.